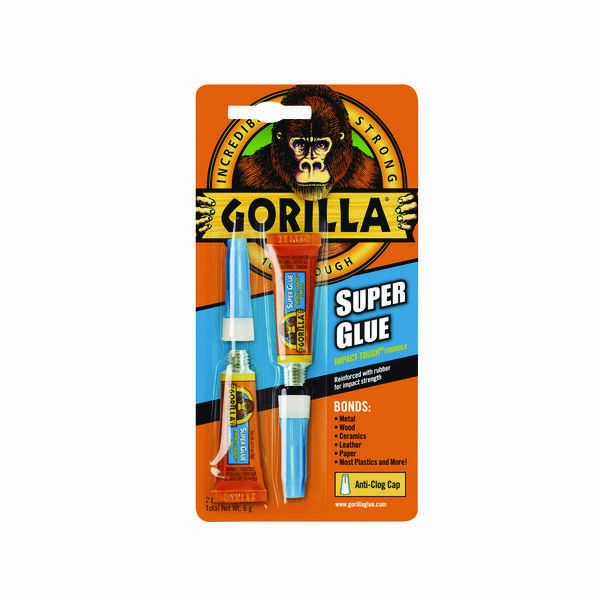 This incredibly strong, waterproof Gorilla Super Glue bonds metal, wood, ceramic, paper, rubber and more. The unique glue formula contains rubber particles, which provide an extremely tough bond even under impact. 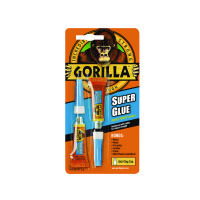 The super glue dries in just 10 seconds for fast application. Each tube contains 3g of glue and features an anti-clog cap with a metal pin, which keeps the nozzle clean and air out. This pack contains 2 tubes.